Florals are never groundbreaking regardless of the season, but there's a certain charm to blooms that keeps us coming back for more be it spring, fall or winter. Tiny flowers peppered on dresses instantly plays up femininity, while big bold flowers make for a daring or elegant ensemble depending on how it's paired. This season's blooms, however, are decidedly distinctive in nature — three-dimensional flowers appliquéd and embroidered on tops, dresses and bags present a dynamic new take on the well-loved classic. Even if you've amassed an arsenal of floral outfits over the seasons, freshen up your selection with these blooms that quite literally, stand out. 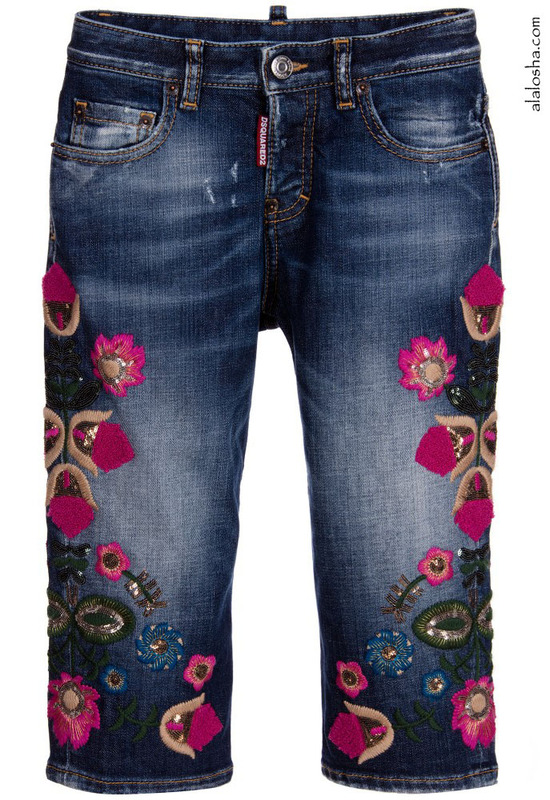 Girls blue cropped jeans by DSquared2 with front button fastening. Made in a soft cotton denim with fading and a distressed finish. 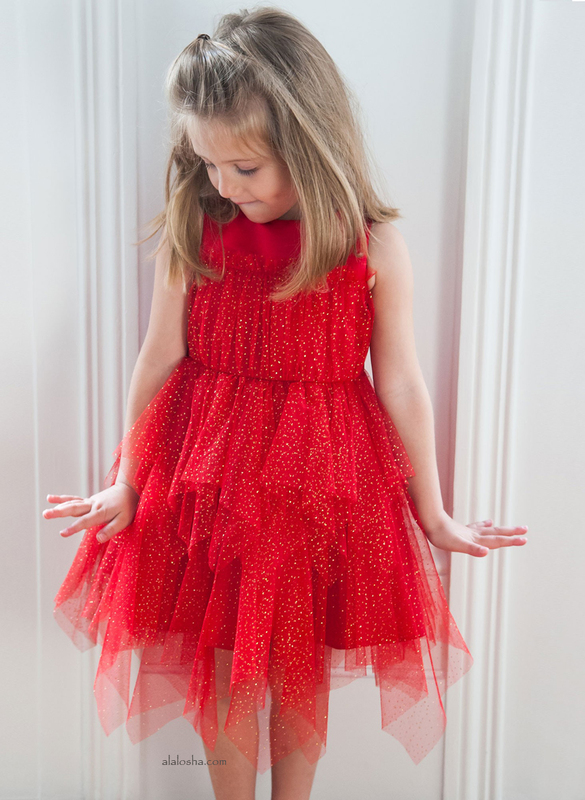 They feature beautiful pink floral embroidery with shimmering sequin embellishment. 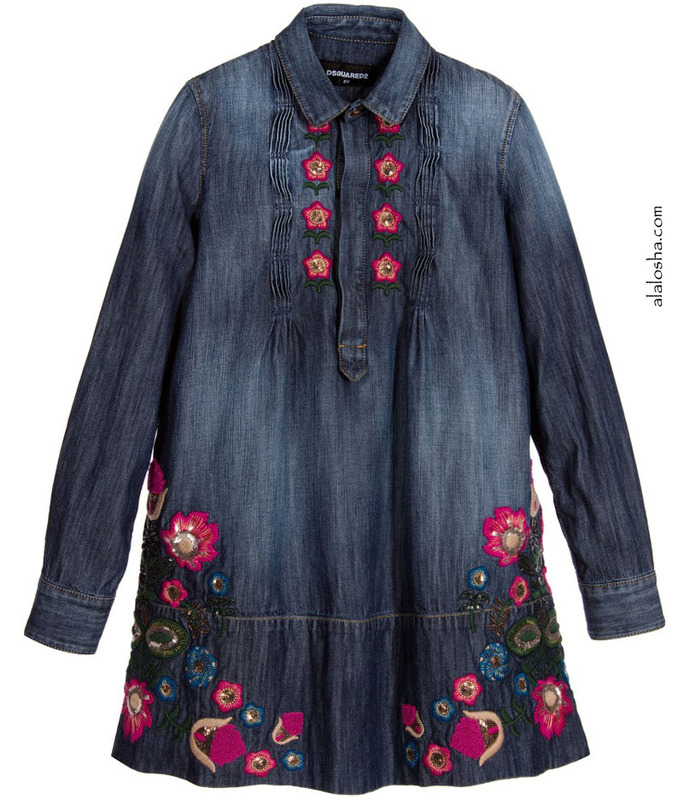 Girls blue long-sleeved denim dress with buttons on the front to fasten. Made in soft chambray cotton with pin-tuck pleats and faded detail. 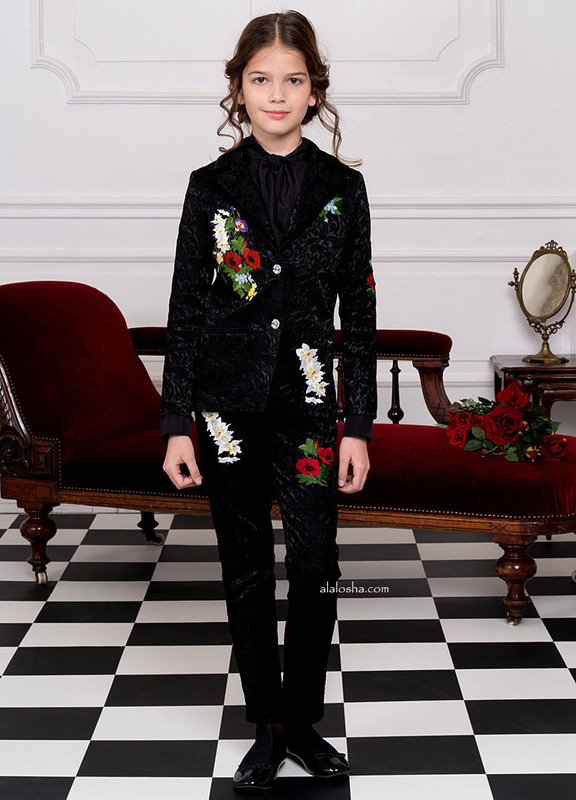 It has pink floral embroidery with shimmering sequin embellishment to finish. 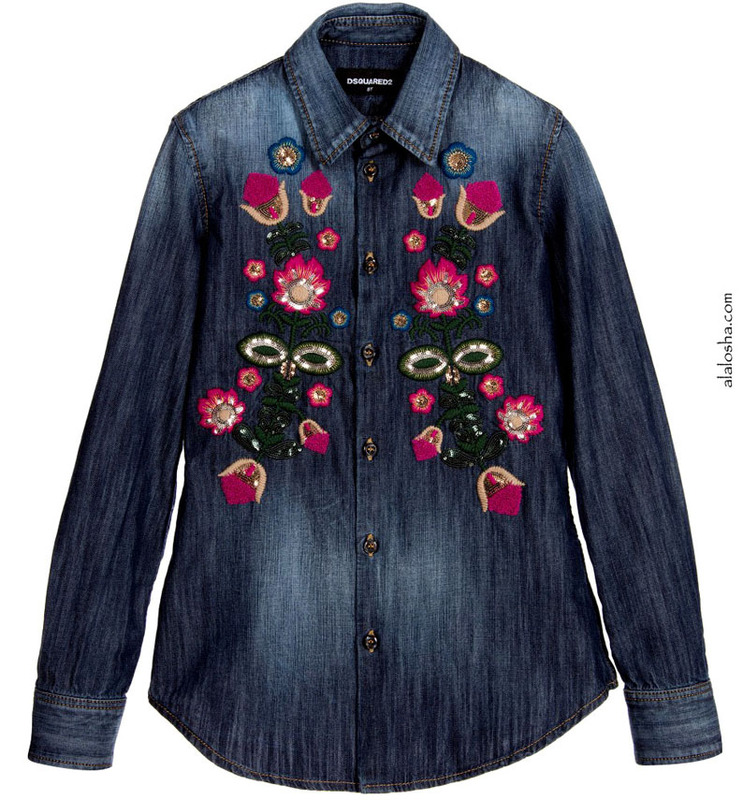 Girls long-sleeved chambray denim shirt by DSquared2. Made in a soft cotton twill with buttons at the front to fasten. 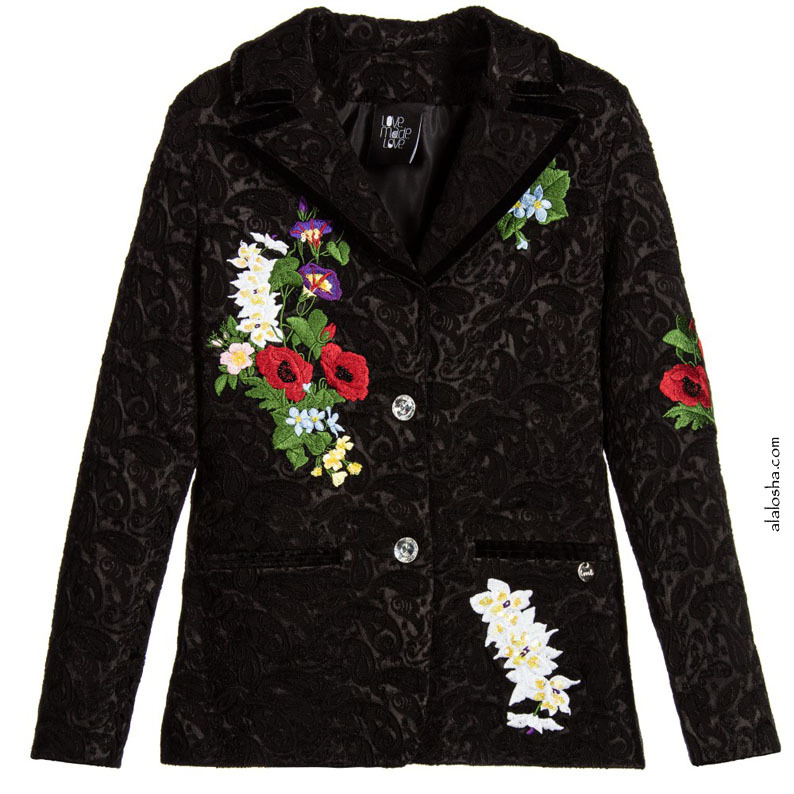 It has floral embroidery on the front in pink, green and blue with shimmering sequin embellishment. Girls black sleeveless jacquard dress by Love Made Love with a zip at the back to fasten. Made from a softly textured cotton blend jacquard with a pretty paisley pattern and a lightweight cotton lining. The dress features a bold floral motif, embroidered and embellished by hand. 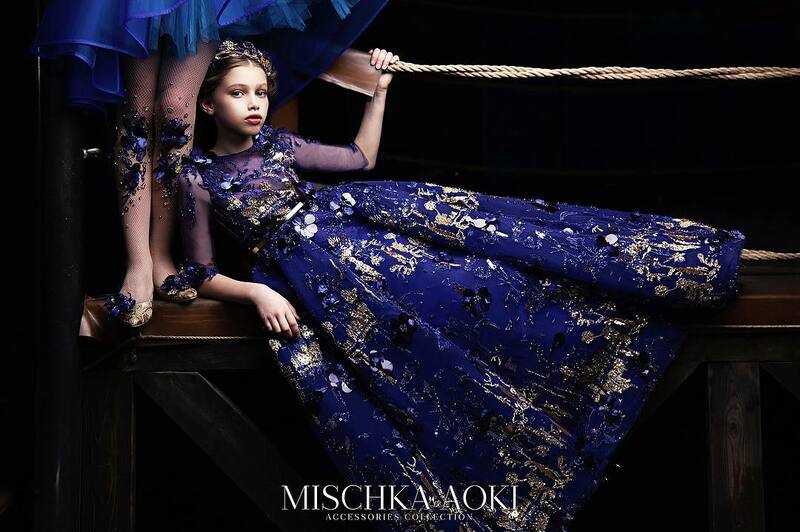 The dress shown is modelled with a blouse worn underneath it, which can be purchased separately. Girls black sleeveless jacquard dress by Love Made Love with a zip at the back to fasten. Made from a softly textured cotton blend jacquard with a pretty paisley pattern and a lightweight cotton lining. The dress features a bold floral motif, embroidered and embellished by hand. The dress shown is modelled with a blouse worn underneath it, which can be purchased separately.